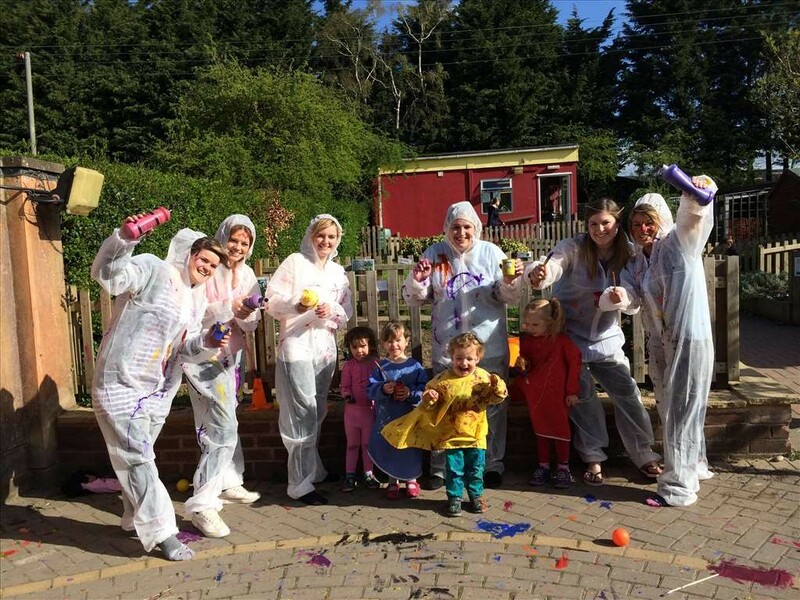 Staff and children at Bright Kids Studley enjoying messy fun on ‘Malleable Monday’, part of their week of Easter Holiday fun activities (14th – 17th April). The remainder of the week will see children enjoying Tasty Tuesday, which will involve baking and vegetable printing, Water Wednesday where children can experiment with floating and sinking objects, and Training Thursday – a day of outdoor fun and fitness. 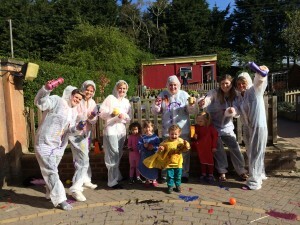 Pictured are (L-R): Nursery Nurses Amy Young, Georgia Buxton and Lauren Pegg, Ruby Harrison (2), Abigail Rea (3), Nursery Manager Tina Davis, Finley Davis (2), Sophie White (3), admin assistant Katie Tolley and Senior Nursery Nurse Josie Richardson.